Sleeping in the office is no longer taboo. 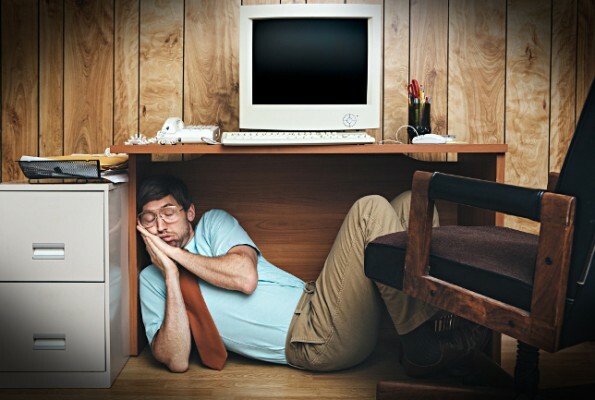 In recent years, more and more US companies have begun to concede their employees an afternoon siesta (the so-called nap), an opportunity that can bring many benefits to the empoyees and the company itself. Many studies have shown that employee productivity increases by 30% and creativity by 40% when employees are well rested, offering a positive impact that increases the well-being of both the office and the bottom line. Napping also improves attention, concentration and mood, making way for fewer absences and accidents at work. Big tech companies like Google, Microsoft and Facebook have created special “nap rooms“, or rest rooms, where employees can rest before resuming their afternoon activities. Some of these rooms are also referred to as sport energy pods, capsule-loungers where employees can isolate themsleves from the outside world for about 20-30 minutes before turning back to the hard life of meetings and reports. In China and Japan, where competitiveness and productivity are key principles in the working world, it is important that employees are always responsive and available. With that, it’s not unusual to find beds and cots between their desks. Designers around the world have been inspired by this American phenomenon, giving birth to surprising gadgets. Japan created the Emergency Nap Kit, a survival kit to fight fatigue, which is equipped with an inflatable mattress and a thermal suit. The Israeli inventor Liveran has created an office partition that can become a pillow. If you fancy a little break in the dark, there is the ostrich pillow, a cushion in which you can insert your head and your hands. A correct, proper rest also offers great savings to the State. A research study published in April 2016 by Fondazione Terra Nova in Italy shows that in certain countries, the costs associated with sleep disturbance amounts to billions of euros. In Italy, the Supreme Court ruled that falling asleep at work cannot be a reason for dismissal. Maybe napping in office will become the norm here as well? In the meantime, you can continue to enjoy a peace of mind before and after work on your Magniflex mattress. Insomnia… Wait a minute: What? Sleep and acumen: Sleeping little or as much as you want?